Arthur Haselrig was born in 1601. A Puritan, he was elected to represent Leicester in the House of Commons. Haselrig was a strong opponent of Charles I and played an important role in having the king's two senior advisers, William Laud and Thomas Wentworth arrested and sent to the Tower of London. Charged with treason, Wentworth's trial opened on 22nd March, 1641. The case could not be proved and so his enemies in the House of Commons, led by Haselrig, John Pym and Henry Vane, resorted to a Bill of Attainder. Charles I gave his consent to the Bill of Attainder and Thomas Wentworth, Earl of Strafford, was executed on 12th May 1641. Parliament then passed a law that gave members control over the king's ministers. Charles I was furious and decided it was time to retaliate. On 4 January 1642, Charles sent his soldiers to arrest Haselrig, John Pym, John Hampden, Denzil Holles and William Strode. The five men managed to escape before the soldiers arrived. Members of Parliament no longer felt safe from Charles and decided to form their own army. After failing to arrest the Five Members, Charles fled from London. Aware that Civil War was inevitable, Charles began to form an army. In the war Haselrig served under William Waller and fought at Roundway Down (1643) and Cheriton (1644). Although opposed to the trial and execution of Charles I, Haselrig became Councillor of State in the government of Oliver Cromwell. Sir Arthur Haselrig died in 1661. (1) Richard Atkins, was a Captain in the Royalist army. 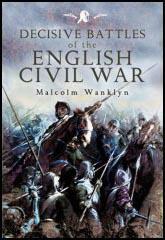 On 13 July, 1643, he took part in the Royalist victory at Roundway Down. In this extract Atkins describes trying to kill General Arthur Haselrig, the leader of the parliamentary army at Roundway Down. It was my fortune to charge Sir Arthur Heselrige... He discharged his carbine first but at a distance not to hurt us... I then... discharged mine; I'm sure I hit him, for he staggered and wheeled off from his party and ran... I pursued him... and in six score yards I came up to him, and discharged the other pistol at him, and I am sure I hit his head... but he was too well armed all over for a pistol bullet to do him any hurt, having a coat of mail over his arms and a headpiece that was musket proof... I employed myself in killing his horse, and cut him in several places... the horse began to faint with bleeding, and Sir Arthur fell off. Then a group of troopers... charged and rescued him. Sir Anthony Ashley Cooper, also a great instrument in this horrid treachery, as he was most active amongst those of the Parliament who were consulting for their restitution, so notwithstanding the affronts he had formerly put upon me, the Lord Arundel being pressed by the trustees and contractors at Drury House for the paying in of thousands of pounds which he was in arrears for some lands which they had sold of his to some of his friends, and which Cromwell had discharged him of, they not allowing that to be a sufficient discharge threaten him to sell the land again, according to a command they had received from the Parliament to that purpose, if he forthwith paid not the said arrears. It being apprehended that my letter to them might be of service to him therein, he the same Sir Anthony, coming to me with him to desire me to write on his behalf, professed to be very affectionate to the interest of the Commonwealth, which he did so to the life that I was much pleased therewith, having always believed him to be otherwise inclined. But notwithstanding his fair words, I was not so confident of him as to repose any great trust in him, he having played fast and loose so often, declaring sometimes for the king, then for the Parliament, then for Cromwell, afterwards against him, and now for the Commonwealth. About this time I went to Sir Arthur Haslerig, whom I knew to be of a most rigid and inflexible spirit, and endeavoured as well as I could to persuade him of the necessity incumbent on us all to lay aside our private animosities, and to unite our whole strength to preserve the vessel of the Commonwealth from sinking. I desired him to entertain a better opinion of Sir Henry Vane, and some other persons than he seemed to have, assuring him that it was impossible to prevent that ruin which threatened us.